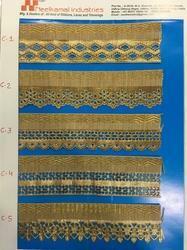 Prominent & Leading Manufacturer from Surat, we offer cut work laces for saree, needle work styles lace, cut work embroidery laces and cut work trendy lace. 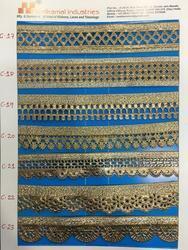 We are leading supplier of Cut Work Laces For Saree. Gypsy, Boho, Bohemian Ethnic Wear, Tunics And Salwar/kurtis. Can Also Be Incorporated For Designing Artwork/handicrafts, Artifacts, Wall Decor (up To Your Creativity) !. 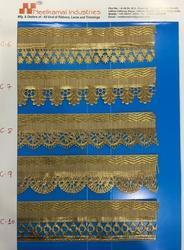 We are leading supplier of Needle Work Styles Lace. 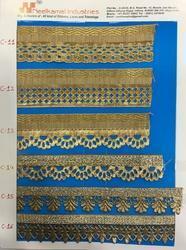 We are leading supplier of Cut Work Embroidery Laces. We are leading supplier of Cut Work Trendy Lace. Looking for “Cut Work Laces”?